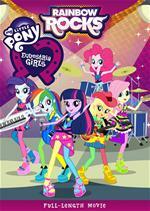 New DVD, blu-ray and Instant Video releases for kids include "My Little Pony," "Equestria Girls," "The Aviators," and lots more. Here's a sneak peek. 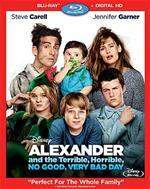 Disney’s "Alexander and the Terrible, Horrible, No Good, Very Bad Day" follows the exploits of 11-year-old Alexander (Ed Oxenbould) as he experiences the most terrible, horrible day of his young life—a day that begins with gum stuck in his hair, followed by one calamity after another. But when Alexander tells his upbeat family about the misadventures of his disastrous day, he finds little sympathy and begins to wonder if bad things only happen to him. He soon learns that he’s not alone when his brother, sister, mom (Jennifer Garner) and dad (Steve Carell) all find themselves living through their own terrible, horrible, no good, very bad day. Anyone who says there is no such thing as a bad day just hasn't had one. Pick your favorite spot to watch -- anytime and anywhere -- and get ready to revisit the fun-filled adventure for the first time ever on Blu-ray and Digital HD! Pongo, Perdita and their super-cute puppies are in for thrills, hilarious spills and an epic action-packed adventure when they face off with Cruella De Vil, Disney's most fabulously outrageous villainess. This timeless classic never gets old. Includes a new animated short, "The Further Adventures Of Thunderbolt," which picks up where the movie left off in the pups' favorite show. 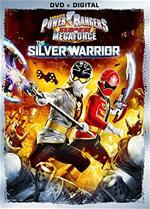 As the fight against evil Prince Vekar's alien Armada gets tougher, the Power Rangers Super Megaforce (Troy, Noah, Emma, Gia and Jake) find themselves receiving help from the Legendary Samurai and Jungle Fury Red Ranger. The odds are further evened when the Rangers are joined by an unexpected new ally from another planet - Orion, the Silver Ranger. Witness more action, more teamwork, and more Legendary Rangers than ever before in these four epic episodes: Samurai Surprise, Spirit of the Tiger and Silver Lining, Parts 1 and 2. During an expedition to a remote African jungle, the Greystoke family's helicopter crashes, leaving one survivor: the young boy J.J., nicknamed Tarzan. Raised by gorillas, Tarzan (voiced by Kellan Lutz) lives by the laws of the jungle — until he encounters another human being, the courageous and beautiful Jane Porter (Spencer Locke). 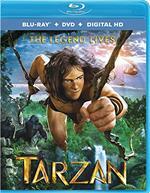 For Tarzan and Jane, it's love at first sight — and the beginning of a thrilling adventure — as Tarzan uses his instincts and intellect to protect his jungle home and the woman he loves. The duo face a mercenary army dispatched by the evil CEO of Greystoke Energies, a man who took over the company after Tarzan's parents died. 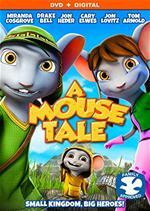 In order to save their kingdom from evil rodents, Sebastian (Drake Bell) and Samantha (Miranda Cosgrove) are sent on a quest by the King of Rodencia (Jon Lovitz) and the wise Wizard Dalliwog (Tom Arnold) to obtain a legendary magic crystal that has the power to defeat the rodents. With the help of two trustworthy knights (Carey Elwes and Jon Heder), they venture deep into the forest and enter a forbidden world of giants in order to accomplish their mission and restore order to the kingdom. Based on a true story, this cute animated movie takes place in 1918 where quiet life on a farm is suddenly threatened by the arrival of the first World War. 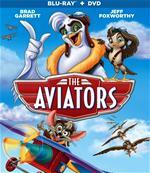 Aware of their responsibility to help against the enemy, a clumsy but bold group of carrier pigeons, along with their sidekick engineer mouse (Jeff Foxworthy), become messengers to try and save the life of a battalion of American soldiers. 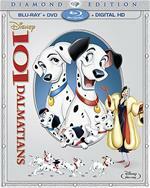 Brad Garrett, Phil Austin and Cyrille Autin also voice characters. 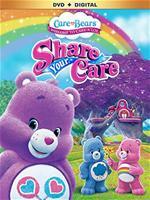 It's all about feelings in this cute installment of the popular bear franchise. After the Bears catch the Feeling Flu, all their usual feelings are switched -- until Harmony leads them to a cure. Directed by Jeff Gordon, this sweet flick for little ones features the voices of Patty Mattson, Stephanie Sheh, Doug Erholtz and Michael Sinterniklaas. The first day of Spring is on its way and the Little Ponies are preparing for it with a big festival. But all the fun may come to an end if the witch Hydia has her way! 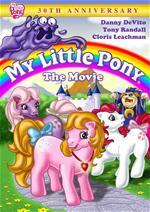 Can the Ponies defeat Hydia and her evil daughters, Reeka and Draggle? More importantly, can they save Ponyland from the witches’ concoction, the strange purple goo called Smooze, that's threatening to bury the whole town? With an all-star voice cast, including Danny DeVito, Madeline Kahn, Cloris Leachman, Rhea Perlman, Tony Randall and more, this colorful movie is good fun for little ones. 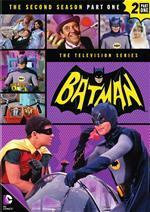 Joker (Cesar Romero), Batman (Adam West) and his Boy Wonder sidekick Robin (Burt Ward) come face to face with a cape-full of criminal calamity! When a friendly showcase turns into a battle of the bands, there's only one pony to call ... Princess Twilight! Canterlot High is hosting a musical showcase and Rainbow Dash, Applejack, Pinkie Pie, Rarity, and Fluttershy are performing with their new band, The Rainbooms. But when The Dazzlings, a new girl group, arrive at CHS and convince everyone to turn the friendly showcase into a Battle of the Bands, tensions mount between the competing musical acts. A now-reformed Sunset Shimmer realizes that the Dazzlings may not be ordinary girls and are after something far more sinister than just being named Best Band at Canterlot High. The Rainbooms call on Princess Twilight to return to their world to help them perform a musical counter-spell so they can win a battle that now determines the fate of the entire school! Jane Boursaw is the film critic and editor-in-chief of Reel Life With Jane. To publish her reviews, previews and feature stories, visit the editorial web store. Images in this feature used courtesy of the studios and distributors.